Clurimen And Cluriwomen: The Human-Clurichaun Hybrids Of Darkness! Who Is The Parallel Pretender? The Parallel Pretender, also known as Mrs. Folger, is the most prolific person of a non-magical sort when it comes to blending into any environment and situation. Second only to The Chameleon who is the greatest known Shape Shifter of modern times. Her unique supernatural abilities and criminal history earned her the number 10 place on The Paranormal Most Wanted List. Little is known about Mrs. Folger including her first name and early history. Trace DNA blood evidence indicates she is a human female in her late 40’s. Witnesses in her presence claim she tells various versions of a story involving the unjust death of her husband Mr. Folger in an explosion perpetrated by his enemies. This event set off her life as a globe-trotting criminal. Being near the explosion itself may have had a hand in activating her latent genetic power of Sub-Conscious Parallel HyperTelepathy thus making her one of the smartest people on Earth! The Parallel Pretender is a master of disguise and false identities. Her calm yet assertive demeanor and charisma complement her skill set of insinuating herself into any given scenario. Lately, she has shown hints of rudimentary telepathic powers that involve reading simple thoughts. She also has more advanced empathic abilities to read a full array of emotions when playing a mark for one of her elaborate ruses. Her greatest asset of Parallel HyperTelepathy is at the sub-conscious level and only works on herself. The power allows telepathy, or communication between minds, into the past and future along with Parallel Universes! In her case, the sub-conscious is only reading the minds of her Parallel Universe selves past and future based on her conscious wishes. There are no messages being sent or direct conscious access. Since all of us have experienced everything in some parallel reality our five-dimensional soul knows everything in this Multiverse. Mrs. Folger is able to access this vast storehouse of information to put herself in any role and also make a ton of money! For instance, without any medical experience, she once performed exquisitely perfect brain surgery. Of course, the purpose was to give one of her victims a lobotomy! Since she can see the future she is also able to stay several steps ahead of anyone coming after her. This is what makes her so elusive to the US Paranormal Defense Agency, law enforcement around the world, and private paranormal bounty hunters. Mrs. Folger doesn’t appear to be inherently evil and even ends up helping people when she takes down filthy fiends out of some need for justice linked to her husband’s death. She has stolen a lot of money from the wealthy elites and corporations along with giving said riches to people in need. However, if anyone gets in her way she has no issue with taking them out at a moments notice! The current King Of Hell Dimitri Diablo attempted to recruit her into his inner circle but she blatantly rejected him. Amazingly he didn’t destroy her! 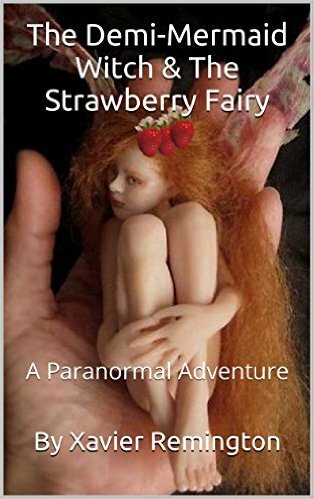 In the paranormal community, she hasn’t hesitated to exploit supernatural resources and oppose those of us who collide with her perplexing plots. We don’t know her end game but she is considered armed and extremely dangerous! If an amazingly intelligent woman with beauty and charm has entered your life look upon her with a suspect eye for she could be The Parallel Pretender!